1902 illustration of the (in)famous ruins on Mountpelier Hill. | Come Here To Me! « The Ha’penny Bridge: A bridge of many names and stories. 1902 illustration of the (in)famous ruins on Mountpelier Hill. Recently I found this 1902 illustration of the ruined building that stands on top of Mountpelier Hill in the Dublin mountains, uploaded to Flickr by the Internet Archive book images. 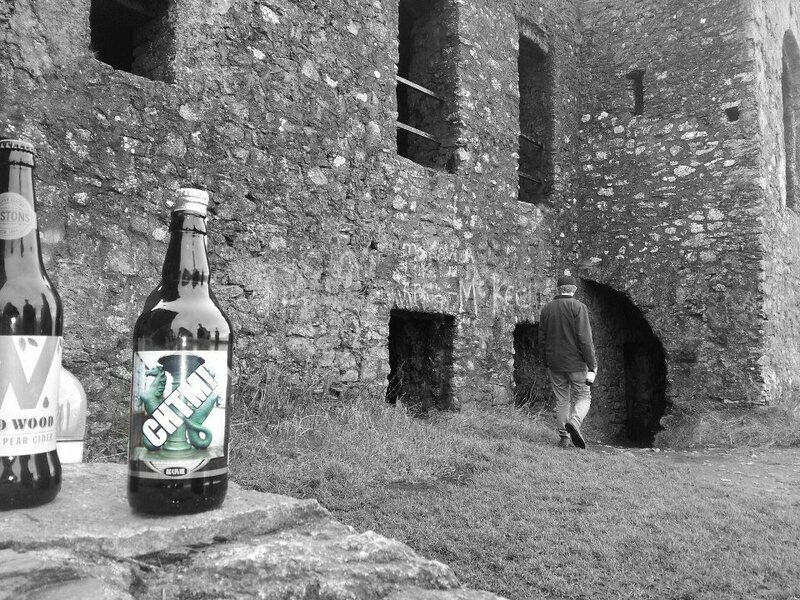 We’ve long been interested in these ruins and wandered up to them in December 2012, something I’d recommend for any readers who haven’t done it. I lay down in the arched room of that remarkable building, on Montpelier Hill. I felt so confident of the protection of the Almighty, that the name of enchantment, and the idle stories which were told of the place had but a slight hold of my mind; I thought there could be nothing worse there than myself, and having returned thanks, and praying for a continuance of God’s blessing and protection, I composed myself, and soon fell into as profound a sleep as if I had been, as formerly, reposing in my own comfortable bed, in quiet times, with my happy family about me. Lastly, when I posted the above illustration on CHTM’s Facebook (Give us a like as we post a lot of content there) the first reply referenced a rave that occurred at the site in the 1990s, one of many. This sparked a wave of coverage in local and national media, and we’d be interested in getting our hands on some of this if anyone has any of it! It’s an interesting part of the history of the ruin. A comment on the CHTM Facebook page remembered a rave in the 1990s. A great video giving a tour of the ruin can be found on YouTube, uploaded by thebettyfordclinic who have uploaded some excellent videos of abandoned buildings in Dublin. 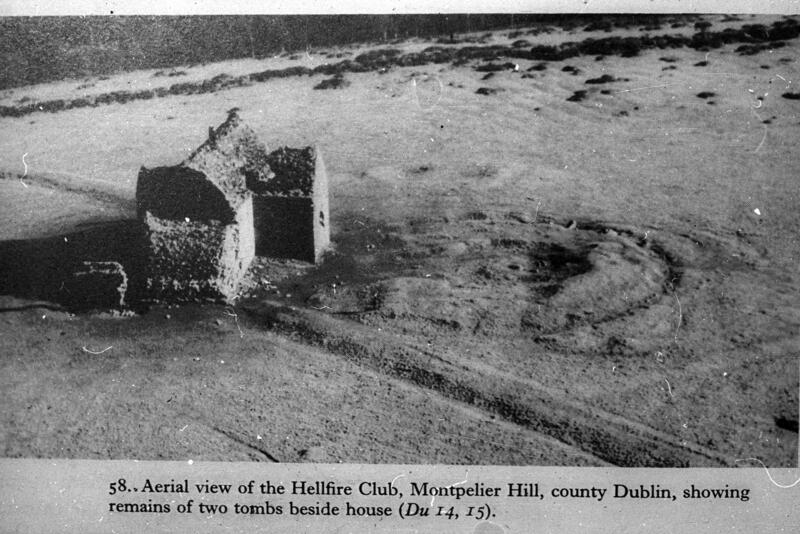 The folklore I heard about Montpelier House is that it was once used as a gambling den of the Hellfire Club which again according to legend was in Dame Street. The legend is that the devil joined a card game and that as a result of cheating being called a fight broke out which set the building in fire. Yeah, that’s very similar to the story I heard about the place. Myself and a mate used go up there a bit in the late eighties. As the main post says it’s a fantastic place to wander around and if you’ve a day to kill it’s well worth wandering deeper into the Wicklow hills while you’re at it. My erstwhile mate and guide has been threatening to come back to Dublin for some wandering in the mountains in the Autumn – this will be our first port of call. Great post; thanks. Inside the building a megalithic standing stone was also used as a lintel over the fireplace. The very fireplace where a worker at the inn was reputably murdered by being soaked in whiskey and pushed into the fireplace and set alight, another one of its ghosts, or so the story goes! The last time I visited the ruin my friends German shepherd dog, normally a playful and quite fearless animal stubbornly refused to enter one of the rooms, growling at the entrance…..